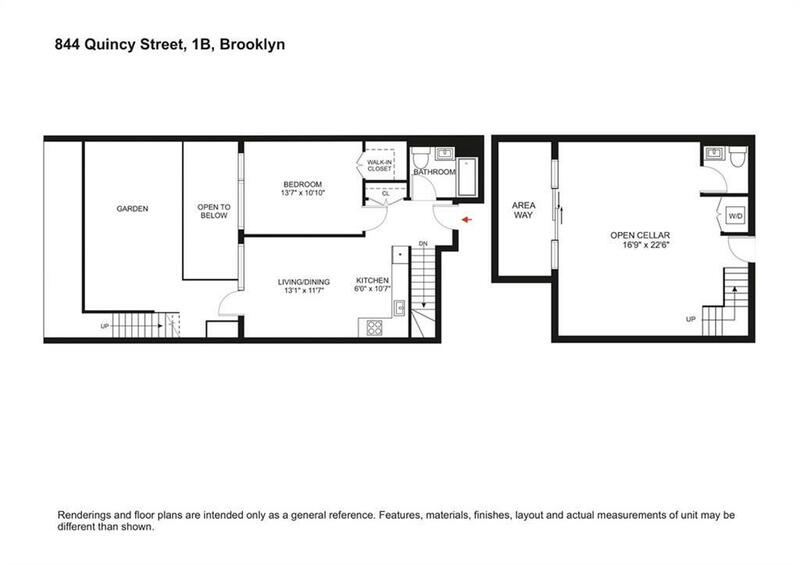 844 QUINCY OFFERS 15-YEAR TAX ABATEMENTSleek, brand new 1-bedroom, 1.5-bathroom duplex in Brooklyn! Part of an exciting new boutique condominium in the heart of trendy, up-and-coming Bedford Stuyvesant. Gorgeous interiors including spacious designer chef kitchen equipped with ample cupboard and counter space, Caesarstone Quartz countertops, Bertazzoni ranges, dark wood finishes, and stainless-steel appliances. 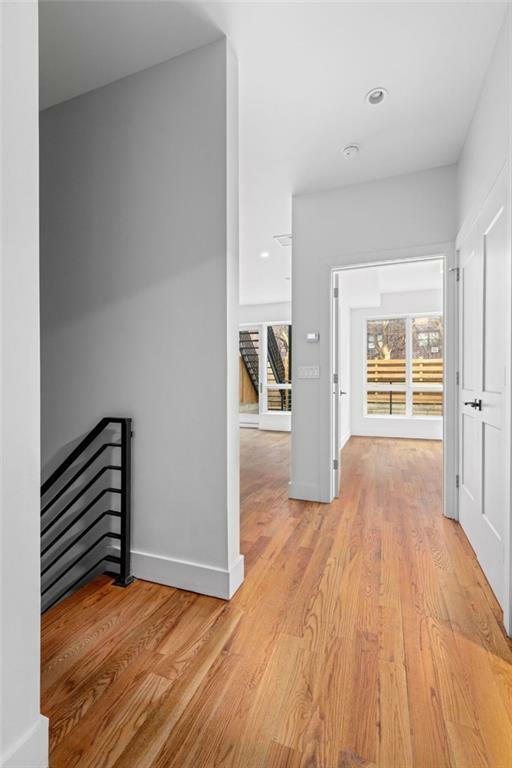 Fabulous hardwood flooring throughout, high ceilings, and oversized windows in main living area and bedroom offer cozy views of rear yard and let in plenty of light! Individually controlled, energy efficient heating/cooling system. In-unit washer/dryer included.King-sized bedroom suite with walk-in closet and modern bathroom featuring tiled walls and flooring, unique shower wall design, and wood finishes on sink and brightly-lit vanity.Special feature of residence is easy access to outdoor patio and rear yard space via lower level with adjacent half bathroom! Intimate outdoor area, perfect for entertaining outdoors and planting garden life! 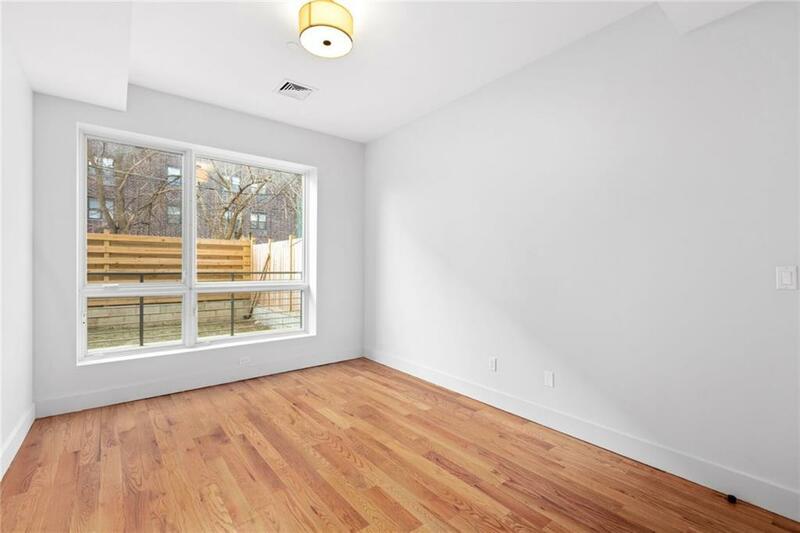 Only unit with two outdoor spaces!Located in BedStuy, One of Brooklyn's most vibrant and ideally situated neighborhoods. This stunning brand-new Boutique Condominium combines the culture and vibrant present with an outstanding contemporary and industrial design with sophisticated and polished interior finishes to enhance the quality of your life. 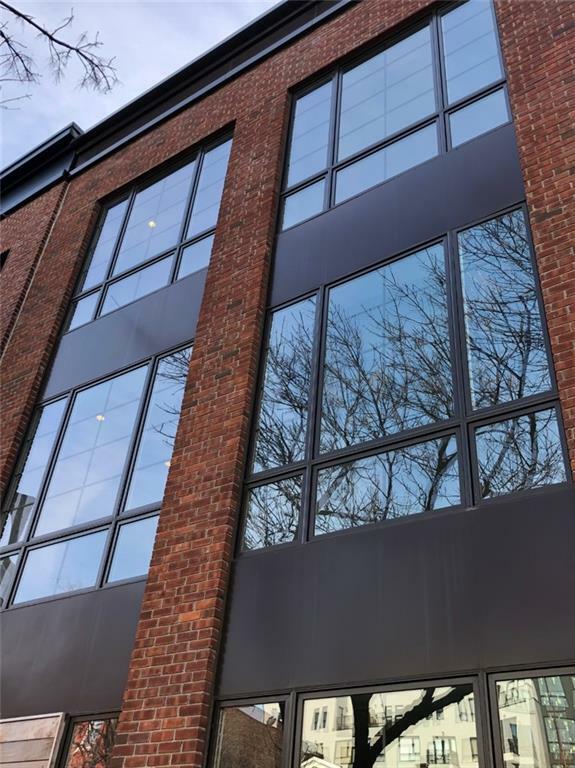 This 7 Unit, 6,000 plus square foot property takes a fresh approach to the Bedford Stuyvesant multi-family, featuring 6 spacious 1-bedroom apartments with outdoor spaces in some units and one 2-bedroom with amazing outdoor space and Manhattan views. Enjoy the best of local restaurants, cafes, bars, shops, and soak into the culture just steps away surrounded by the distinctive Brooklyn charm. Just one block from Z, J express trains on Broadway and C train and buses are all in close walking distance. Residents have endless access to nearby nightlife in Bushwick, Williamsburg and the Lower East Side as well as the cultural attractions this area has to offer.